Cascara segrada (also known as Rhamnus purshiana) has been used since the 1800s as an all-natural way to support and maintain bowel regularity and function. 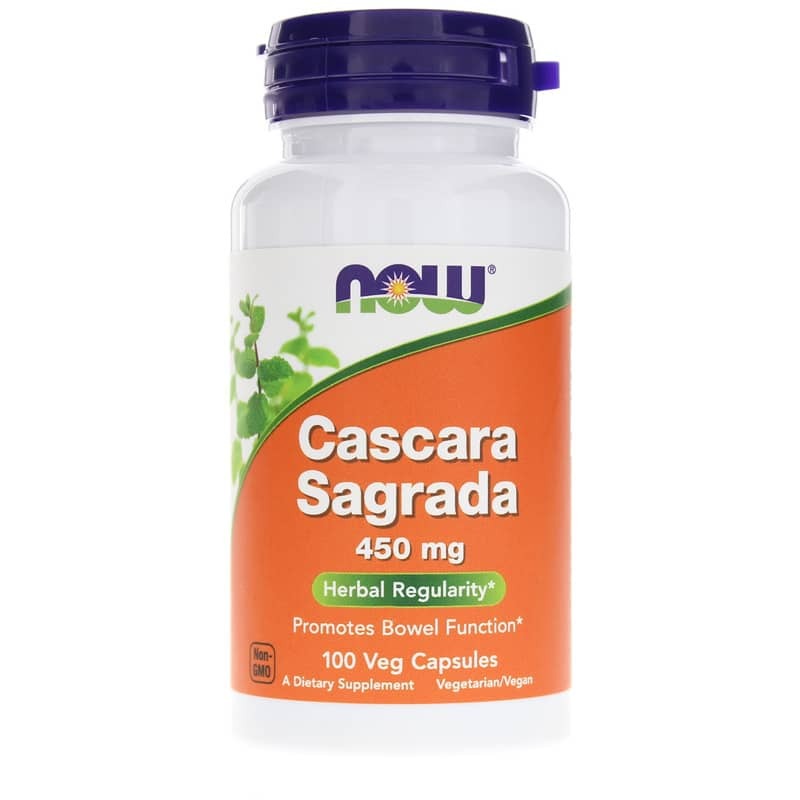 If you've been dealing with occasional constipation or other issues, NOW Foods offers a product called Cascara Segrada 450mg that may be able to help restore your bodily balance. Every batch of Cascara Segrada is made without the use of any yeast, wheat, gluten, soy, milk, egg, fish, shellfish, or tree nuts. 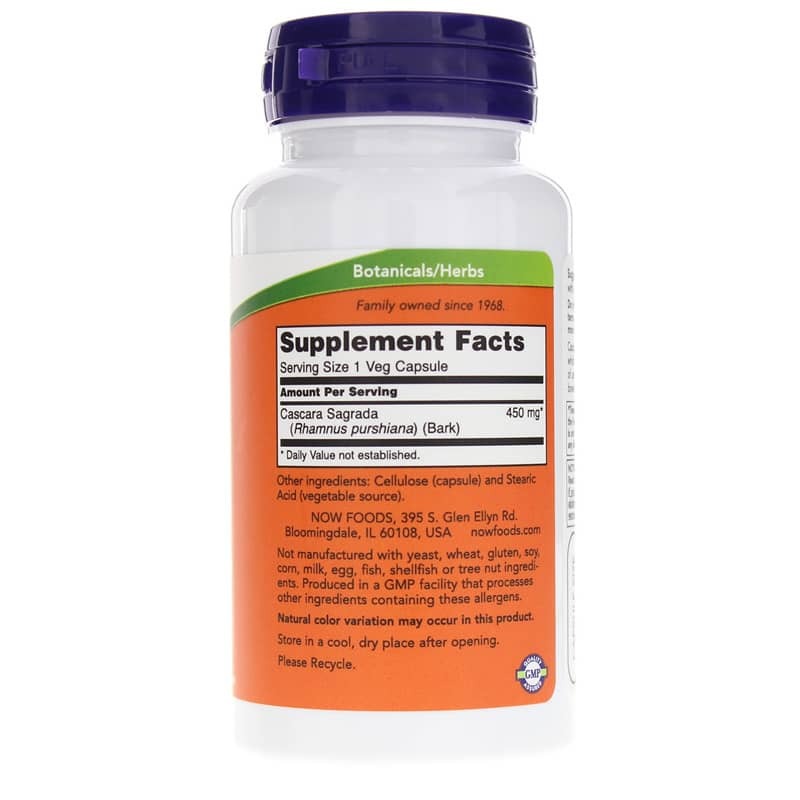 It comes in a capsule form that is easy for adults of all ages to swallow, and only needs to be taken once every day, preferably at bedtime with a full glass of water. 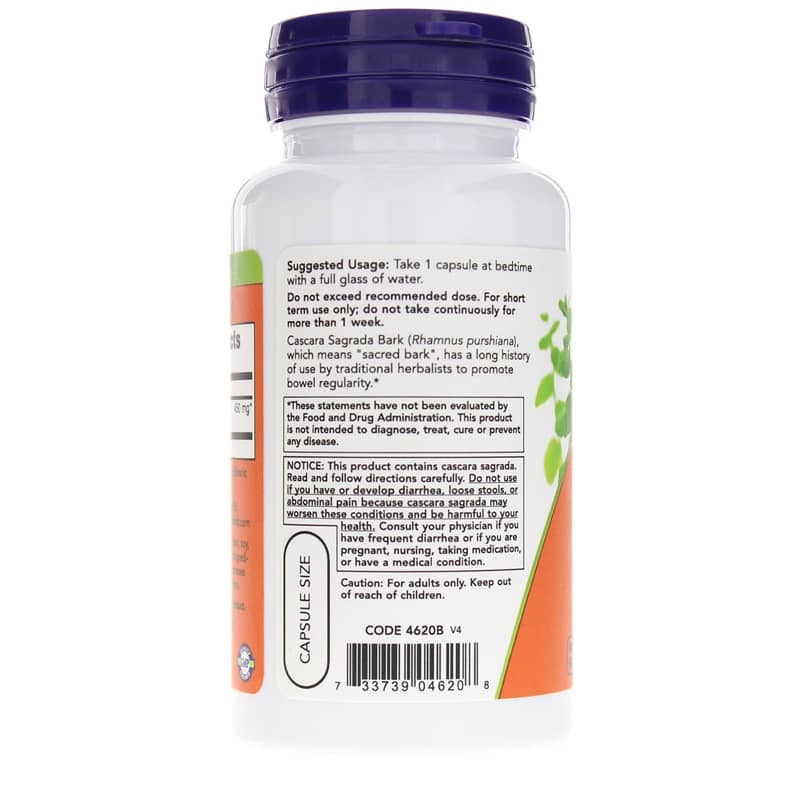 Maintain healthy bowel function and irregularity the all-natural way. Give Cascara Segrada 450mg from NOW Foods a try today, and see the difference it may be able to make in your overall health and wellness. Order now! Not manufactured with: yeast, wheat, gluten, soy, corn, milk, egg, fish, shellfish or tree nut ingredients. Produced in a GMP facility that processes other ingredients containing these allergens. Vegetarian/Vegan. Non-GMO. Adults: Take 1 capsule at bedtime with a full glass of water. Do not exceed recommended dose. For short term use only; do not take continuously for more than 1 week. This product contains cascara sagrada. Read and follow directions carefully. Do not use if you have or develop diarrhea, loose stools, or abdominal pain because cascara sagrada may worsen these conditions and be harmful to your health. Consult your physician if you have frequent diarrhea or if you are pregnant, nursing, taking medication, or have a medical condition. Keep out of the reach of children.